Manav Rachna Academic Staff College (MRASC) organised a Faculty Development Programme on ‘Ethics & Values at the Workplace’ for the educators of Manav Rachna Educational Institutions (MREI). The day witnessed two of Delhi’s learned and eminent personalities Hon'ble Justice Mr. R. S. Endlaw, Judge Delhi High Court and Hon'ble Justice Mr S Ravindra Bhat, Judge Delhi High Court, addressing the large gathering of Faculty members from MREI. Dr Sanjay Srivastava also announced that he would be coming up with a book on 108 slokas of the Bhagavad Gita as a tribute to Founder Visionary Dr O.P. Bhalla on the next Founder’s Day. 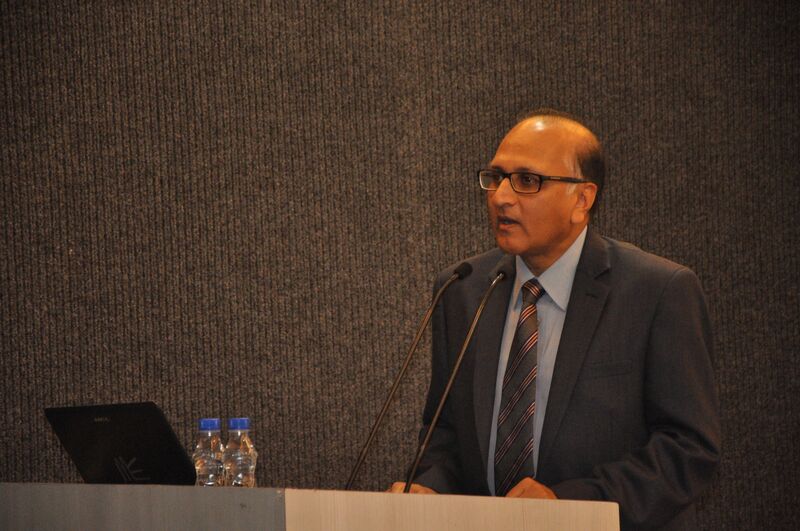 Dr. Jaideep Singh, Director-Industry Interface, MRU set the precedent for the need of the FDP.